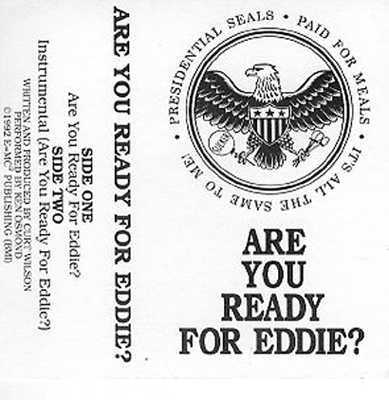 Curt Wilson engineered, created, produced and performed this song for Eddie Haskell, Ken Osmond, from the classic "Leave It To Beaver" TV show as Ken was campaigning for his comedic 1992 Presidential bid. I had Ken come in to record the verses and ooze the smarmy personality all over the place. Ken still believes that his race was part of a conspiracy and still holds that there was some dubious vote counting at play. After all who wouldn't support a 3 day work week, a hot tip and more tight skirts?